IQS Directory is a top industrial directory listing of leading industrial kovar compaines and suppliers. Access our comprehensive index to review and source kovar suppliers with preview ads and detailed product descriptions. These kovar companies can design, engineer and supply kovars to your specifications and application need. A quick and easy to use request for quote form is provided for you to contact these kovar companies and suppliers. Each company has detailed profile information, locations, phone number, website links, product videos and product information defined. Read customer reviews and product specific news articles. We are the right resource for your information requirement whether its for a supplier of kovar steel plates, kovar welding, kovar tubings. We are a first class manufacturer of kovar products. Our teams can create your nickel solutions in a variety of shapes and we are ambitiously researching the newest ways to process metals. These new cutting edge procedures are energy efficient which saves you money in the long run. Our teams are eager to serve you! We are a catalyst of innovation for our industry. Give us a call today to learn more! All of our kovar solutions are designed for superior output. These items come with uncompromising value and we will energetically work with you to ensure you that you will receive exactly what you are looking for. Your satisfaction is very important to us. There are a plethora of advantages associated with our kovar products. If you have any questions then our customer service team is here to help. Also known as Rodar, Kovar is a registered trademark that refers to a low expansion alloy that is composed of iron, nickel, cobalt and trace amounts of the elements manganese, silicone and carbon. Kovar was specifically formulated as a sealing alloy for glass and ceramic materials (specifically for compatibility with the thermal expansion characteristics of borosilicate glass). The material is used by many industries, including electronics, medical, semiconductor and industrial manufacturing, to provide exceptional hermetic seals for applications such as power tubes, vacuum tubes, transistors, microwave tubes, diodes, integrated circuits, and x-ray tubes. Most often used in applications requiring a glass to metal seal, Kovar is vacuum melted, meaning that it has undergone melting, refining, and casting under a vacuum. An additional property of Kovar is that at any temperature under that of the Curie point (435°C or 815ºF) it is magnetic. 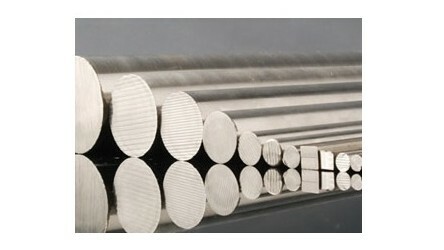 Kovar is very similar to another nickel alloy referred to as Invar. Invar is a nickel steel alloy with specific thermal expansion properties; however, Invar is unique for its low thermal expansion qualities, while Kovar is for its low thermal expansion in terms of its compatibility to heat-resistant glass. Kovar is specifically composed of 54% iron, 29% nickel, 17% cobalt, .2% silicon, .3% manganese and less than .01% carbon. This chemical composition has narrow limits that are very controlled in order to ensure optimal thermal expansion compatibility. Kovar can be fabricated into shapes and parts such as sheets, rods, plates, bars and tubing through a variety of heat treating processes including annealing and forging. Although high temperatures are not critical when annealing Kovar, temperatures greater than 900ºC (1652ºF) are not recommended because the high heat will promote grain growth. When it comes to forging Kovar, the biggest concern is that the Kovar must be heated quickly in order to avoid soaking within the furnace which can affect the surface appearance of the alloy. In addition to manufacturing processes, there are many types of secondary services that are commonly used on Kovar including turning, drilling, tapping and reaming. When it comes to turning Kovar, it is necessary to pay attention to the angle of the cutting tools. For drilling Kovar, it is the speed of the drill and the resulting feed that must be taken into consideration, and it is the same for reaming, but with different required proportions. Lastly, when it comes to tapping Kovar, the speed should be around 20 feet per minute (FPM) and it is recommended to use either nitrided or electrolyzed tools.